Hi Ho! Hi Ho! 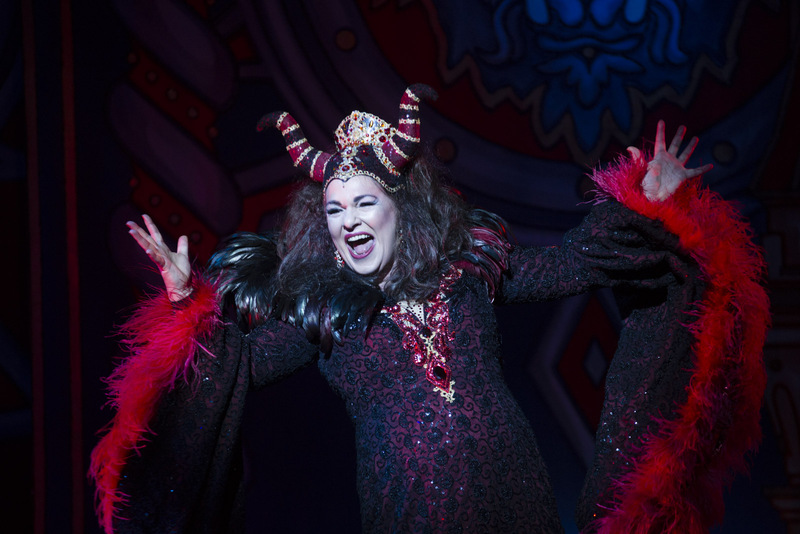 It's off to panto we go...! One of my favourite things about Pantomime season at Woking's New Victoria Theatre is the excitable children who fill the auditorium. As I took to my seat, Idina Menzel singing "Let It Go" was blasting through the speakers and around 500 children around the theatre were joining in. I couldn't help but smile - the atmosphere was great and set the tone for the rest of the evening. 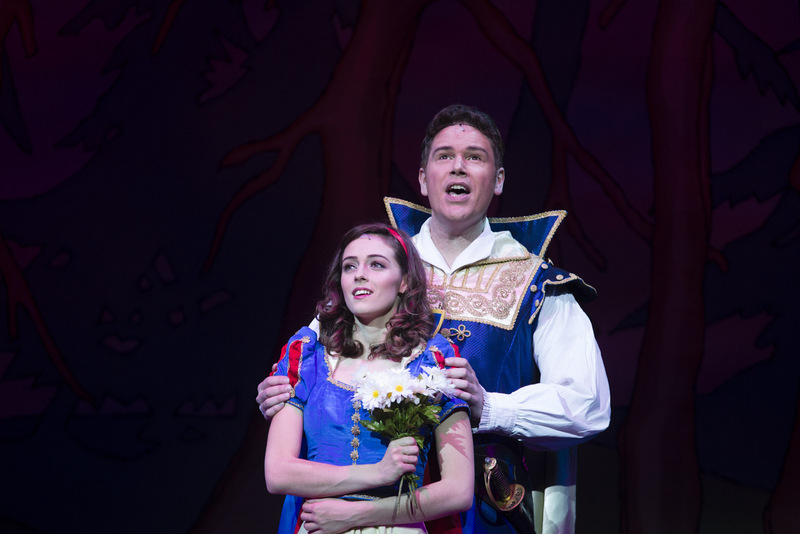 This year's panto is the fairytale classic 'Snow White and the Seven Dwarfs', but this version has been reimagined in a playful and engaging way. Directed by, written by and starring Warwick Davis as 'Prof', this pantomime is bursting at the seams with fun for all the family. An unfortunate illness meant this year's press night performance was actually Snow White and the Six Dwarfs, but the cast managed seamlessly to make up for this absence and the audience were none the wiser. There's nothing wildly new or innovative about this pantomime, but that's not necessarily a bad thing. As Herman The Henchman is co-writer Andy Ford whose stage presence is massive and much needed in a panto of this scale. He injected such pure fun into the show and performed with a genuine smile across his face and seemed to concede to a few moments of unplanned giggles which just added to the joy of the night. 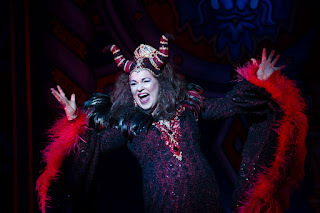 In contrast, there were "Boos" and "Hisses" aplenty for the wonderful Anne Smith as villainous Queen Morgiana who played the role perfectly and captivated all attention when she was on stage. Chris Cox features in the cast as the loveable-yet-clumsy-and-unnoticed-romantic-sidekick Muddles. Again, another role played with sincerity and a genuine smile that made the show all the more fun. 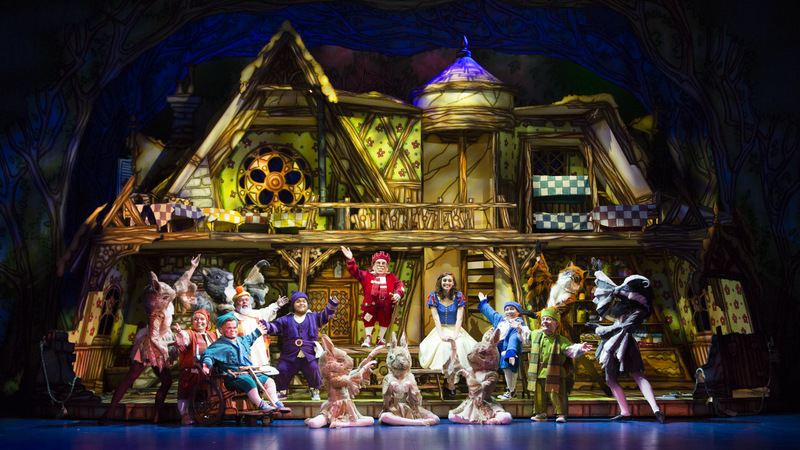 Long gone are our Disney favourite dwarfs - Happy, Sleepy, Dopey and co... This show introduces us to Prof, Blusher, Loopy, Snoozy, cheeky, Grumbly and (missing from this performance) Sniffly. Warwick Davis as Prof was, unsurprisingly, the crowd favourite, closely followed by the silent-but-sweet Annabelle Davis as Loopy. In this no-expense spared showcase spectacular, there is much to marvel at. The singing leaves something to be desired, but the choreography, specifically a beautiful lyrical ballet segment in Act I, was a wonderful. This show is exactly what panto should be - genuine family fun. There's enough substance for the adults to feel like they're not at a kid's show, but not so much that the children are left scratching their heads. It's playful, fresh and creative.